Barr told lawmakers that the investigation did not establish that members of the election campaign of President Donald Trump conspired with Russia. Mueller left unresolved the question of whether Trump obstructed justice during the investigation. 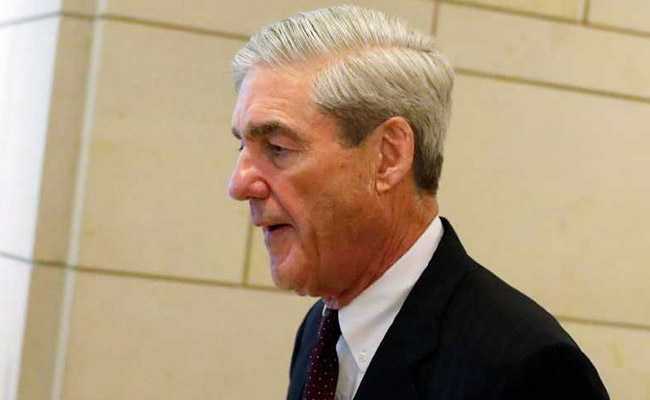 US Attorney General William Barr plans to make public a redacted copy of Special Counsel Robert Mueller's nearly 400-page investigative report into Russian interference in the 2016 election by mid-April, "if not sooner," he said in a letter to lawmakers on Friday. He said he was willing to appear before both committees to testify about Mueller's report on May 1 and May 2. Speaking to reporters at his Mar-a-Lago resort in Palm Beach, Florida on Friday Trump said he had "great confidence" in Barr. Asked whether he agreed with Barr's decision to release the Mueller report to the public, Trump said, "If that's what he'd like to do I have nothing to hide. This was a hoax. This was a witch hunt." "We need to see the Mueller report ASAP, with only those redactions that are absolutely necessary to protect intelligence sources and methods. Congress and the American people need the full story about what happened in 2016," said Senator Mark Warner, the senior Democrat on the Senate Intelligence Committee. Barr said his letter on Sunday "was not, and did not purport to be an exhaustive recounting" of Mueller's investigation and said he believed the public should be allowed to read the report and judge for themselves. Lawmakers have since been clamouring for more details. In a statement on Friday, House Judiciary Committee Chairman Jerrold Nadler said the April 2 deadline he imposed on Barr's Justice Department "still stands" and he urged the release of a "full and complete" report without redactions. The top Republican on the committee, Doug Collins, said on Twitter that Barr was "following his word" by pledging to release the report and chided Nadler for setting an arbitrary deadline. Nadler rejected that notion, saying Barr must "work with us to request a court order to release any and all grand jury information to the House Judiciary Committee." The US intelligence community has concluded that Russia used a campaign of hacking and propaganda to sow discord in the United States, harm Clinton and boost Trump's candidacy. Russia denied election interference.